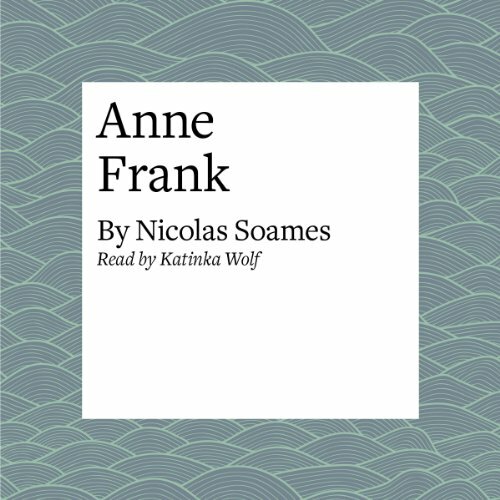 This installment of Nicolas Soames’ engaging and informative Famous People in History series, geared toward middle-school children, provides an enlightening overview of the two precarious years Anne and the rest of the Frank family spent in their secret annex hiding from the terrifying grasp of the Nazis. Katinka Wolf’s soothing tone and compassionate readings of excerpts from Anne’s diary lend a sense of humanism to this glimpse into the life of a remarkable young girl with an indomitable spirit in the face of the most dire of circumstances. This is a story from the Famous People in History collection. Here are the stories of nine people whose energy, imagination, courage, and determination changed the world. From Christopher Columbus who set off into unknown seas in a small ship in the 15th century, to a young girl, Anne Frank, caught in the turmoil of the 20th, who wrote a remarkable diary while in hiding in Amsterdam during the Second World War. Their personalities and their achievements make them heroes and heroines for our time also. This program features short biographies of Christopher Columbus, Elizabeth I, William Shakespeare, Wolfgang Amadeus Mozart, Lord Nelson, Charles Darwin, Florence Nightingale, Abraham Lincoln, and Anne Frank. ©1999 NAXOS AudioBooks Ltd. (P)1999 NAXOS AudioBooks Ltd.